We want to recognize those who selflessly share their time and talents with our residents and organization. 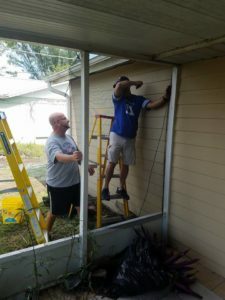 From preparing a home for a new family by painting the walls and scrubbing floors, to making repairs after a hurricane has torn through- we are so grateful for the efforts of the volunteer team who continuously make it possible for us to provide for families in need. After all, a home is far more than just a living space and we want to make sure that every family feels like they are coming home when they move into one of our residences, with everything they need to feel safe and comfortable. 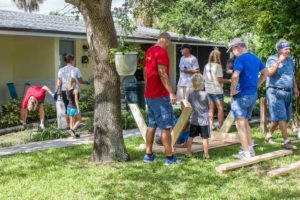 Volunteers put together Welcome Home baskets for each family to help with the transition, and it makes all of the difference. Thank you- whatever your contributions, it is both valuable and greatly appreciated. 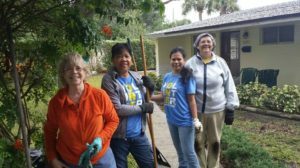 If you are interested in volunteering, click here to find out more and contact us. No matter your skill set, we’re certain there is a way that you can make a difference.